For years the TV program Top of the Pops and the Sunday Top 40 on Radio One had a stranglehold on popular music in the UK. Bands sank or swam depending on where they were in the charts and how much exposure they got on the BBC on a Thursday evening. Rankings depended entirely on singles sales, which were often fiddled (a scandal erupted when it transpired that major record labels were bribing stores to return false numbers). It was a system that lead to the most bizarre anomalies when dire novelty records like Father Abraham and the Smurfs rubbed shoulders with Generation X and The Stranglers. It also led to serious bands being unfairly associated with gimmicky one-off singles. A good example is The Strawbs, a folk rock band responsible for the glorious concept album Grave New World, but chiefly remembered for the frankly rubbish Pub Piano Oompah number Part of the Union. Steeleye Span suffered the same fate, being eternally associated with songs like All Around My Hat, a bouncy ditty that cemented them in the public mind as semi-comic manglers of traditional folk, an image that their appearance on the kids’ program Crackerjack did little to dispel. Folk Rock was always open to the charge that it was little more than a cider-quaffing Morris Dancers who’d found some electric guitars in the attic and decided to see if they could still play them with one finger in their ears. And yet, on the album side, there was a rich and magnificent tradition of entirely serious Folk Rock banging out interesting and complex concept albums – Jethro Tull being the chief movers, but also Steeleye Span. 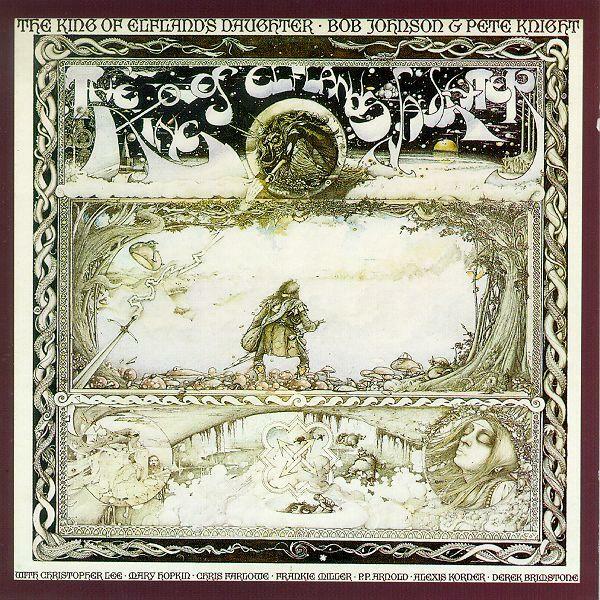 In 1977 two of the band, guitarist Bob Johnson and fiddle player Peter Knight, released The King of Elfland’s Daughter, a concept album based on Lord Dunsany’s 1924 classic fantasy novel. The horrors of the First World War sparked off a massive crisis in Western culture. At the supposed apex of human civilisation, in a world achieving wonders of science and commerce and brimming with Imperial self-confidence, four years of bloody carnage laid waste to Europe and destroyed the Enlightenment certainties of Reason as the guiding principle in human destiny. It sparked off a rejection of faith amongst artists and intellectuals, one symptom of which was the birth of English Literature as a university subject. Christianity, marshalled in the support of slaughter (‘God is on our side’) had clearly failed to provide moral guidance, perhaps art and poetry could act as a substitute. Not surprisingly the medieval nostalgia of the Pre-Raphaelites, previously a response against the urban inhumanity of the Industrial Age, returned in spades. W. B. Yeats’ poetry mixed references to ancient Irish legends, Eastern mysticism and a lyrical Symbolism of stunning beauty. His friend, Edward John Moreton Drax Plunkett, 18th Baron of Dunsany, set out to achieve in short-story form what Yeats attempted in verse. His tales are gorgeously melancholy evocations of time, loss and longing set in distant faerie realms and suffused with the same elegiac lyricism as Yeats’ early poems. Even the titles possess their own resonant and lingering beauty – “Time and the Gods”, “Poltarnees, Beholder of Ocean” and the classic “The Fortress Unvanquishable, Save for Sacnoth”. To those who may have wisely kept their fancies within the boundary of the fields we know it is difficult for me to tell of the land to which Alveric had come, so that in their minds they can see that plain with its scattered trees and far off the dark wood out of which the palace of Elfland lifted those glittering spires, and above them and beyond them that serene range of mountains whose pinnacles took no colour from any light we see. Yet it is for this very purpose that our fancies travel far, and if my reader through fault of mine fail to picture the peaks of Elfland my fancy had better have stayed in the fields we know. Know then that in Elfland are colours more deep than are in our fields, and the very air there glows with so deep a lucency that all things seen there have something of the look of our trees and flowers in June reflected in water. The King of Elfland’s Daughter concept album was recorded at the same time as Jeff Wayne’s War of the Worlds (released in 1978). It’s similar to it’s louder, brasher cousin – Christopher Lee narrated condensed quotes from the novel to link the songs, and even sang one of the tracks – ‘The Rune of the Elf King’. In many ways it’s also a fantastic tribute to the novel, and an ambitious addition to the catalogue of Prog/Folk rock concept albums of the 1970s, but it also suffers from some of the same fundamental problems of Jeff Wayne’s album – chiefly because of the incongruity between the subject matter and the demands of rock and roll. Synthesisers and howling rock guitars might fit in with the image of Martian tripods wrecking the home counties with their heat rays, and we can almost (but not quite) forgive the casting, and outrageously ludicrous performance, of Thin Lizzy’s front man Phil Lynott as an English country vicar. 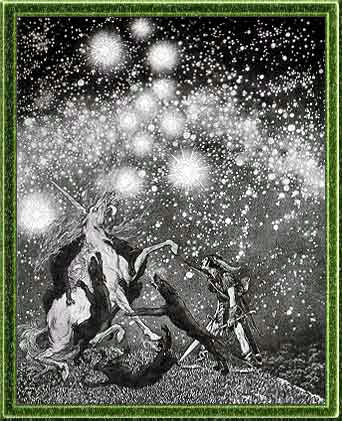 In The King of Elfland’s Daughter, however, the disparity between Dunsany’s style and the sometimes Spinal Tapesque delivery results in a brave but often very frustrating attempt to turn the classic tale into a rock opera. 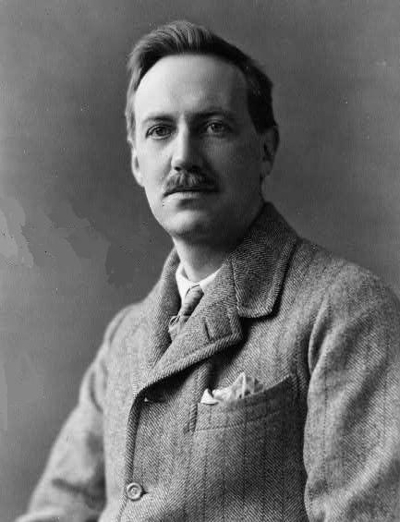 The problem is exacerbated by Christopher Lee’s stately and magnificent readings, which entirely capture the lyrical wonder of Dunsany’ descriptions and make the transition to the songs even more jarring. To be fair, some of the tracks that follow fit well. The first number, ‘The Request’ is a marvellously anthemic plea from the Men of Erl to their Lord and has huge promise. The last track, ‘Beyond the Fields We Know‘, sung by Mary Hopkins is also a powerful and moving conclusion to the tale. In between the quality comes and goes. Frankie Miller, singing Alveric’s part, has the unfortunate tendency to end lines with a good old rock and roll hoarse-throated belt, which makes him sound more like Conan meets Little Richard than a fey, dreamy Dunsanian hero. Other songs are shot through with whimsy, some of which works (‘The Coming of the Troll’ is wonderfully daft) and some of which is just embarrassing (‘Too much Magic’ has novelty Top of the Pops single written all over it). In the end you feel a bit like one of Dunsany’s protagonists, witness to a brief gleam of beauties from beyond the fields we know, caught in that instant between twilight and lost memory among the harebells, before the disappointment comes crashing back as the rock and rollers gatecrash the party. 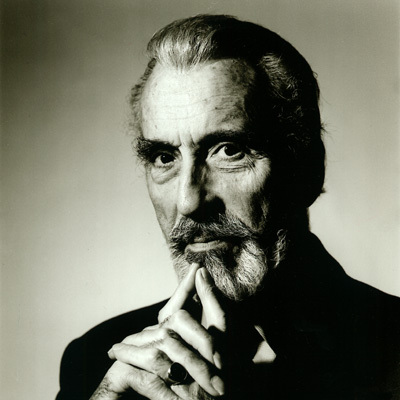 The King of Elfland – Christopher Lee. Yet despite its faults, The King of Elfland’s Daughter is a lovely album. Constantly undermined by the disparity between the vision and the music it still somehow manages to retain enough of the lyrical beauty of the story to hook you in. This is almost entirely due to Christopher Lee’s narration whose gravitas shows a real love of the material. What it really needed was musicians closer in spirit to the original, and in my opinion Steeleye Span’s take on Folk Rock wasn’t really the right medium. The Enid (who did their own fairy themed album, Aerie Faerie Nonsense), Sally Oldfield or perhaps even Mike Oldfield before he went commercial and crap, would have made a better job of Dunsany. Nevertheless as a slice of bizarre music history, showing what happens when classic fantasy feeds into a concept album, The King of Elfland’s Daughter is definitely worth a listen. At the moment the album is available as a CD through Amazon. The reproduction’s not great – sound levels vary and there’s noticeable distortion, especially on the last track, but that was a fault of the original mixing, not the reproduction.